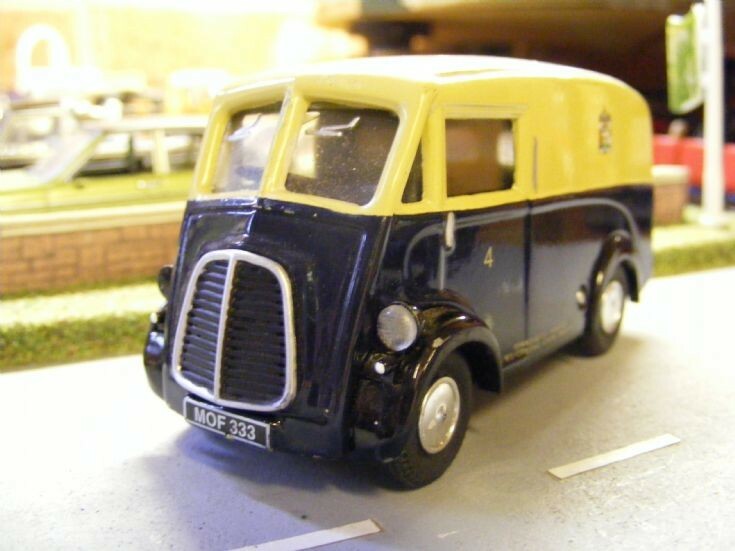 A Morris J Type Van from Corgi Classics in 1:43rd scale. This model together with the previous Ford 103E were acquired very cheaply (£2.00 for them both) and need very little work to make ready for display. The Morris merely requires a offside headlight and a small amount of paintwork (black mudguards) to complete.